Sky Cline and his wife Mahina moved to the San Francisco Bay area to lead a church plant in one of the most expensive regions in the United States. After moving to the west coast with three small children, Sky’s church stipend wouldn’t cover their monthly house rent where the church would begin to meet. Sky began to work at odd jobs in the bay area in order to make ends meet. As the flock grew, much of the new growth came from people with limited financial means, including immigrants, homeless, addicts, drifters and other low income people. It soon became apparent that a supplemental form of income would be needed to survive in an area where an 800 sq ft home would sell for $600,000. After 3 jobs and another child later, the idea of evangelicalbible.com was born. The company began in 2005 as a retailer of the new ESV translation. Sky’s favorite translation had been the RSV until the “RSV with a faith lift” (ESV) was first published in 2001. The major problem with the ESV Bible idea was that mega online stores could sell the same Bibles at little or no profit. The solution to this dilemma came in January 2008 when an unsolicited email appeared from the UK of all places. Nicholas Gray, the director of a premium Bible publisher in Scotland, R.L. Allan, challenged Sky to carry his Allan ESV Bible. The first solicitation went unanswered since the thought of a Bible in the $175 range seemed excessive to the point of unmarketable. After a second email Sky agreed to sell the Bibles on a consignment basis, especially after it was learned that Nicholas and Sky shared mutual friends and history in Southern Africa. The Nicholas link put evangelicalbible.com out of the fierce waters of online superstores and into an entirely unique tributary of premium Bible craft and design. This put evangelicalbible.com on the trajectory to its present status of “Premium Bible Marketplace.” Obviously, evangelicalbible.com’s birth and growth must be attributed to God’s amazing providence and favor. With an increasing demand for durable, hand crafted, natural leather Bibles, Sky assembled an international team of Bible designers, printers and craftsmen to begin work on a new Bible brand, the Schuyler Bible, which now publishes the ESV, NASB, KJV, NKJV, NLT, and NIV in different formats including its prestigious Quentel and Canterbury designs. The Quentel and Canterbury Bibles have remained bestsellers at evangelicalbible.com since their publication a few years ago. 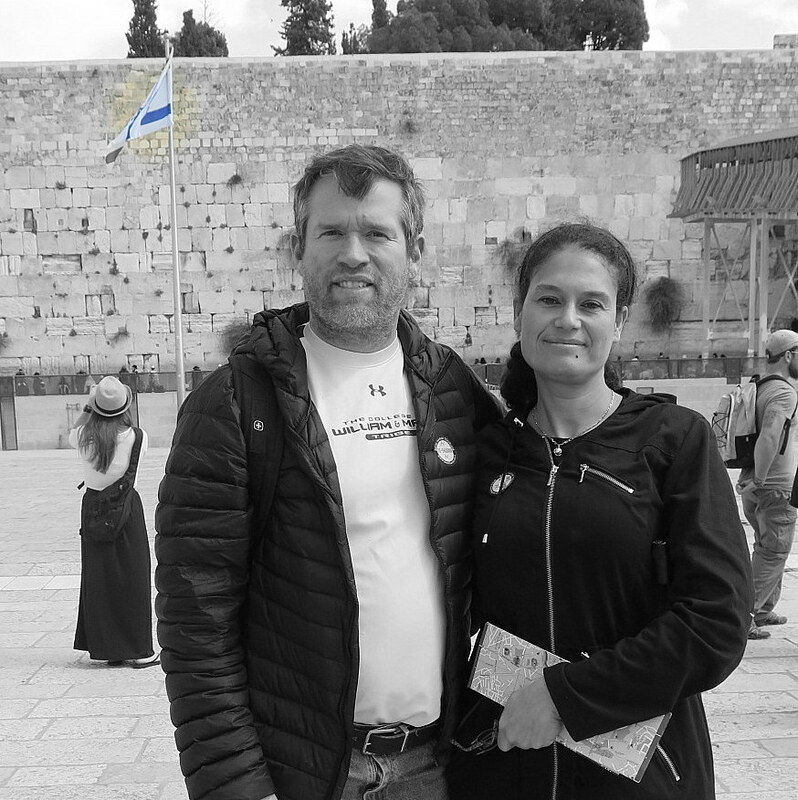 Sky and Mahina (and evangelicalbible.com) have since moved to the Richmond, Virginia area where they minister in various churches and para church organizations as well as overseas Bible colleges and Christian drug rehab facilities in Asia. Sky went to university at William & Mary and Duke University. Mahina matriculated at the Université Paul Valéry in the south of France.